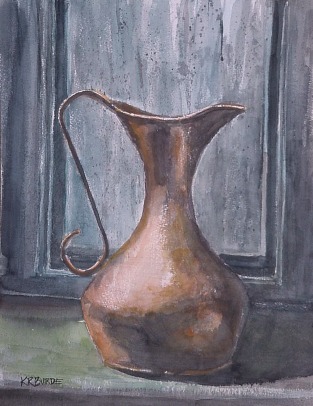 Copper Water Pitcher on a doorstep. Painted on Rough Arches Paper. copyright © 2012 K.R.BURDE . all rights reserved.